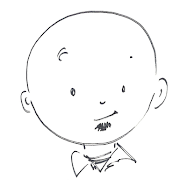 It is Friday, October 19, 1962. Eleven-year-old Franny wonders why her teacher skips her during read aloud time. She wonders why Jimmy, who picks his nose at recess, gets selected to read instead of her. She wonders which friends to join at recess after forgetting her latest Nancy Drew. Then the air-raid siren goes off. Her wonderings become one certainty: We are all about to die. Countdown takes place over the next twelve days, during the Cuban Missile Crisis. Author Deborah Wiles does a great job of showing the fear that permeated society at the time. 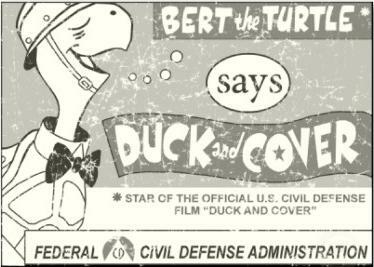 There’s news broadcasts and President Kennedy’s address to the nation and duck and cover drills. The fear is heightened for Franny – and readers – because of her family’s military connections. Along with societal fears, there are normal coming-of-age issues as well. Why does her younger brother get her father’s attention and a promise of playing ball in the yard? Why is her sister allowed to close her bedroom door? Why is her best friend acting that way? And what about that new/old boy across the street? 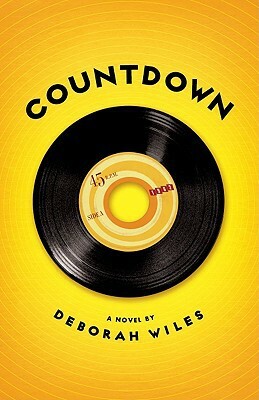 Countdown is billed as a “documentary novel” with nonfiction interspersed within the narrative. Many of the nonfiction bits relate directly to the story, items like a fallout shelter handbook, news quotes, Bert the Turtle, mushroom clouds, and photos of Fidel Castro, Presidents Kennedy and Truman, and even Nancy Drew. But some seem present only in an attempt to flesh out the time period. There are pictures of James Bond, Cassius Clay, Sandy Koufax, and Lucy and Ricky. I found Countdown fascinating, but I’m hesitant about how the documentary novel idea will translate to younger readers. If I’m one of today’s 11-year-olds, I’m looking at the picture of Peter, Paul, and Mary with the words “what a wonderful world this would be” and thinking, who’re these guys? I’d have no clue of the significance of Richard Nixon saying, “You won’t have Nixon to kick around any more” in 1963. I’d be wondering why there’s a picture of Rocky and Bullwinkle (who?) with a news item about Kennedy and Khrushchev establishing a direct telecommunications line between Washington and Moscow. Actually, I’m wondering about that one as it is. It’s obvious that Deborah Wiles has put incredible amounts of time into Countdown, the first of three companion novels, and there are plenty of signs of what’s to come. Many of the nonfiction parts reference the Civil Rights movement, a possible indication of how Franny’s older sister plans to make the world a better place. I am amazed at the detail, the wide range of cultural references, and the novel’s uniqueness. I recommend it, hesitantly, believing that grown-up readers of children’s literature will like it more than the children. Agreed about the audience issue. I am going to recommend it to my summer book club kids after we discuss The Wednesday Wars and see how many of them like it. Thanks for visiting, and thanks for taking time to share your thoughts.